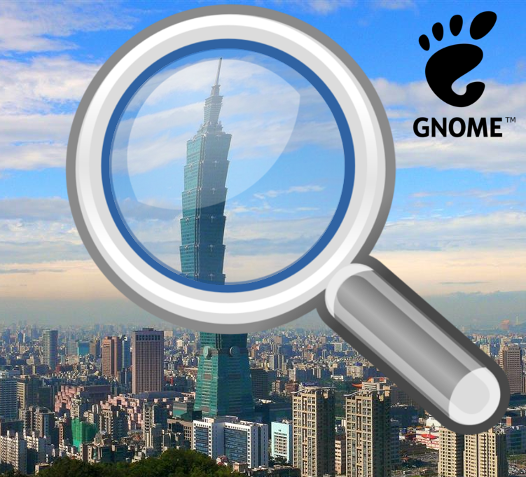 As previously announced, few days ago I attended the GNOME Fractional Scaling Hackfest that me and Red Hat‘s Jonas Ådahl organized at the Canonical office in Taipei 101. Although the location was chosen mostly because it was the one closest to Jonas and near enough to my temporary place, it turned out to be the best we could use, since the huge amount of hardware that was available there, including some 4k monitors and HiDPI laptops. Being there also allowed another local Caonical employee (Shih-Yuan Lee) to join our efforts! As this being said I’ve to thank my employer, for allowing me to do this and for sponsoring the event in order to help making GNOME a better desktop for Ubuntu (and not only). 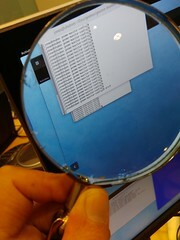 Going deeper into the event (for which we tracked the various more technical items in a WIP journal), it has been a very though week, hard working till late while trying to look for the various edge cases and discovering bugs that the new “logically sized” framebuffer and actors were causing. In fact, as I’ve already quickly explained, the whole idea is to paint all the screen actors at the maximum scale value across the displays they intersect and then using scaled framebuffers when painting, so that we can redefine the screen coordinates in logical pixels, more than using pixel units. However, since we want to be able to use any sized element scaled at (potentially any) fractional value, we might incur in problems when eventually we go back to the pixel level, where everything is integer-indexed. Non-perfect-scaling: covering the cases in which the actor (or the whole monitor) when scaled up/down to a fractional level has not anymore a pixel-friendly size, and thus there are input and outputs issues to handle due to rounding. GNOME Shell UI: the shell StWidget‘s need to be drawn at proper resource scaling value, so that when they’re painted they won’t look blurred. Toolkit supports: there are some Gtk issues when scaling more than 2x, while Qt has support for Fractional scaling. 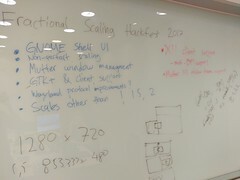 Wayland protocol improvements: related to the point above we might define a way to tell toolkits the actual fractional scaling value, so that they could be scaled at the real value, instead of asking them to scale up to the upper integer scaling level. Also when it comes to games and video players, they should not be scaled up/down at all.